I've been wanting a wrist-watch forever and for the longest time I had been eyeing a particular type with the following criteria: black leather strap. small circular face. gold. 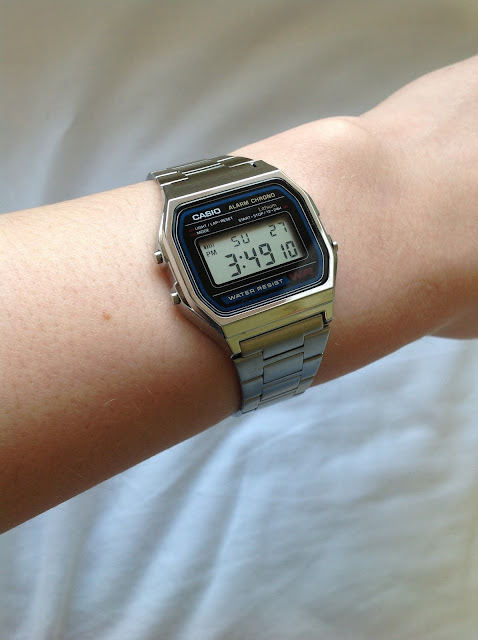 I honestly don't understand how I've managed to go from that very dainty and lady-like style to this Casio Men's Watch, but I'm happy that I've broadened my wrist-watch horizons. 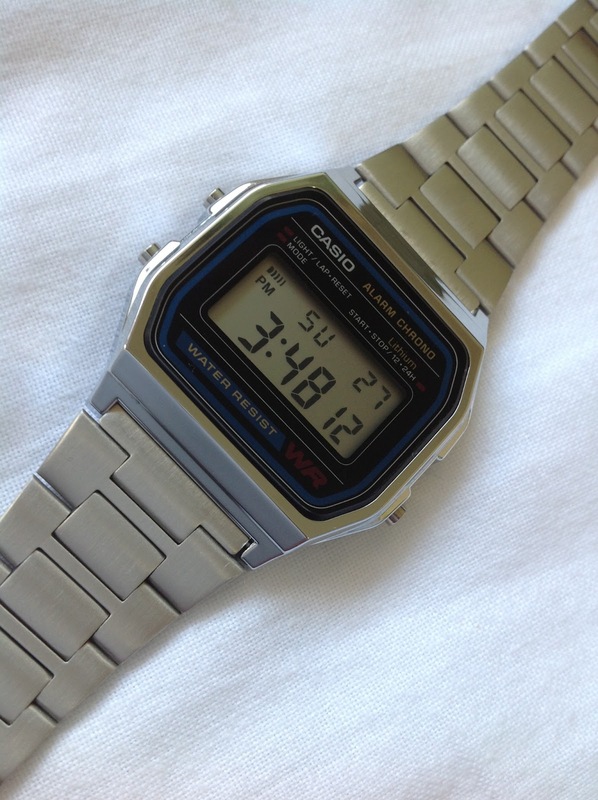 It's very simple and very boy-ish, but one of the main reasons why I like it is the metallic strap. While a black leather strap is very classy, it tends to fade and warp over time, so I thought that a metallic strap would be more practical considering the price. Also, it is easily adjustable! This type of watch usually retails for around $60 USD, and you can find this model or similar styles at american apparel or on asos. I got mine on Amazon Japan for 980 yen, which roughly converts to under $10 USD--don't hate! 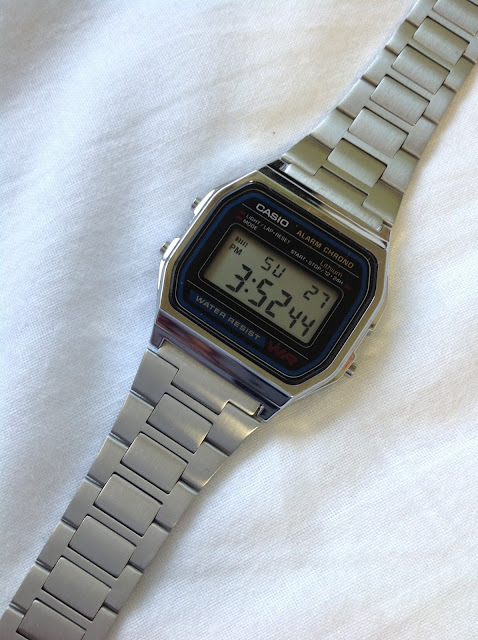 I don't understand how I've been living so long without a watch; it's practically shameful.